Demand response technology has enabled utilities, grid operators, and commercial and industrial energy users to control their power consumption for 30 years and counting. At times when peak demand threatens grid reliability or prices soar, demand response (DR) has acted as a critical and reliable resource, an intervention that subverts catastrophic grid shut-downs and ballooning bills. None of this capability has changed. What has changed is the way utilities can approach and execute DR programs. Now, in addition to using them to mitigate emergency situations, utilities rely on DR technologies to meet comprehensive conservation mandates and act as a focal point for other smart grid initiatives. To meet this increased scope, sophisticated DR programs are now focused on helping utilities both manage demand and increase customer engagement. This new phase of DR brings not only an evolution in energy management practices, but also in customer relations. As the benefits of the smart grid are beginning to be realized, the industry has reached a crossroads and it’s heading down a different path, armed with the knowledge gained from recent DR programs. For example, Pepco Holdings Inc. has enrolled 150,000 customers as part of one of the largest DR programs in the nation. The Energy Wise Rewards program is expected to enroll a total of 300,000 participants, allowing them to take more control over their energy usage, save money, and move toward a more sustainable lifestyle. Another DR program is being deployed by Gulf Power. The Florida utility has achieved a 97 percent satisfaction rate by helping 87 percent of participating customers lower their electricity usage through dynamic pricing initiatives coupled with automation to respond to those prices. These results are being achieved through the new two-way capabilities of demand response. In the past, demand response was similar to many other utility-run programs as it was almost entirely a one-way conversation from the utility to the energy customer. In contrast to one-way communication, today’s demand response is beginning to employ two-way communication between consumers and utilities, keeping customers informed, engaging them in managing their energy consumption, and helping them tailor their DR participation and other energy efficiency programs to fit their budgets and power needs. To make this possible, DR platforms are now integrating seamlessly with other energy information and management tools, with which consumers have become increasingly familiar. Residents and businesses are working with interactive on-line portals to help them better understand their energy use, and are using devices like programmable thermostats to manage energy choices. In the short term, this allows consumers to do things like set energy efficiency goals and easily monitor their progress. In the longer term, by integrating traditional DR programs with consumer engagement, utilities can reduce both peak demand and base load. In the process, they’ll be creating more engaged and ultimately happier consumers. Further, by interacting directly with consumers, utilities gain insight into the demand needs they must meet, and the flexibility that consumers might have in their usage patterns. Utilities can use this knowledge to further optimize energy delivery. This kind of interaction carries through to other efforts of demand response, including financials and pricing. Following the old model for direct load control programs, customers would receive financial incentives in exchange for their participation in DR programs, but this was typically a fixed amount that was tied to the level of participation they initially agreed to. New DR pricing structures and AMI usage data open doors to incentives based on performance or price, which allow and encourage consumers to better manage their energy use. The key to these platforms’ success is flexibility: they offer an array of options, as there’s no one-size-fits-all approach. For example, utilities can provide pricing plans like peak time rebate (PTR) programs that reward customers for voluntarily reducing consumption during peak or other pre-determined times. Another option is to implement critical peak pricing (CPP) plans that work more like penalties, charging more if customers don’t opt to make certain power reductions. In practice, a combination of the different pricing strategies tends to work best, as it lets consumers make the choice about how they want to engage in energy conservation. But in all cases, consumers perform better and exhibit higher satisfaction when automation is available to aid the response. 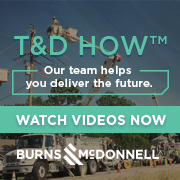 A set-and-forget choice, as demonstrated in the Gulf system, provides better satisfaction to customers and more reliable load drop to the utility. The two-way communication infrastructures that now are built into sophisticated DR technologies make dynamic pricing programs such as PTR or CPP manageable and affordable for utilities. Web-based control panels that can be accessed across a range of different devices – computers, smart phones, tablets etc. – facilitate dialogue and deliver variations on pricing structures to different customers, all at the same time. One of the most significant benefits of two-way programs for consumers and utilities is automation. The web portals, smart thermostats, and smart switches now available to consumers allow them to set a control schedule for all high-energy use appliances, such as air conditioners, pool pumps, and water heaters. This set-and-forget capability makes it easy for customers to participate, and also provides a more predictable load drop as the two-way automated information exchange enables a utility to aggregate all adjustments to a participant’s control schedules, providing advanced insight into the capacity made available by all program participants. As a recent Brattle Group study has shown, using technology to automate dynamic pricing programs can deliver approximately a 40 percent increase in peak demand reduction, as opposed to relying on the consumer to manually reduce demand. As public opinion and government influence continue to press for increased energy consciousness, demand response no doubt will remain a crucial piece of the energy management puzzle, as it has a tried-and-true reputation. But the demand response in action in the future will succeed in meeting energy reduction targets because of the work that regulators, utilities, and customers do together. Two-way communication, energy efficiency initiatives, and innovative energy management programs like dynamic pricing set the stage for consumers to fully engage in their energy management. Smart grid technology makes this level of cooperation possible, bridging utilities and consumers in a way that puts them in sync, eliminating the at-odds feeling of yesteryear and maximizing the potential to cost-effectively, reliably and sustainably deliver power to the masses. ABOUT THE AUTHOR: R. Blake Young is president and chief executive officer of Comverge.